Last year I had the opportunity to attend the NY Auto Show at the Javitz Center in NYC and it was to work at the Sierra Club booth right in front of the registration area to test drive an Electric Car. This was a surreal event as you can easily drive the BMW I3, Nissan Leaf, and Soul EV around the track on the Lower Level of the Center even indoors because there is never any pollution from the EV itself. Try doing that with the internal combustion engine, known as an ICE engine. 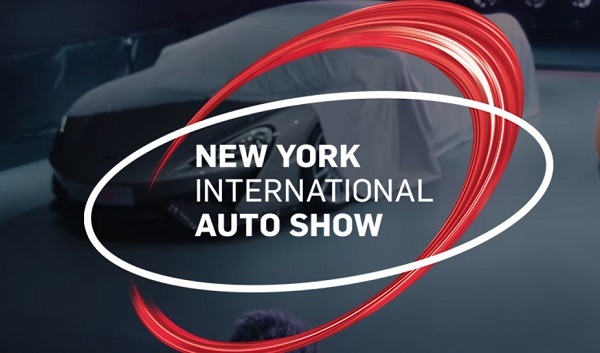 This years NY Auto Show will be open to the public from April 14th to April 23rd, 2017 at the Javitz Center in NYC. The great thing about this feature of the NY Auto Show as that many people that may or may not have friends that drive an EV might never have the chance to experience the EV Grin. Once you have driven around in the seat of an all electric car, there is no going back. It is such a blessing to experience the car without the vibration and noise coming from the ICE vehicle. Which EVs Will Be Featured in 2017 New York City Auto Show? Last year the BMW I3 was featured and shown as the Nissan Leaf. Will the Chevy Bolt be there this year to be experienced by normal everyday ICE drivers? Will the next generation Nissan Leaf be in attendance since they have finally announced that the current Nissan Leaf leases can extend their leases to wait for the higher range version of that car. I’m not even sure this feature will be available this year. Electric Avenue will be a great feature to have every year at every auto show in every city if possible. Overall, it would be fantastic if you could experience some of the newer EV offerings at each show. According to another UK based website, Honda will be bringing in 3 of its Clarity EVs for the show. Instead of just one fuel cell of the car, they are also bringing a Plug In Hybrid as well as a pure battery electric EV to the show! It has been reported that the Clarity EV will only have about 80 miles of range. With 80 Miles of Range Is That Enough To Compete? With the Chevy Bolt and its 240 miles of EV already here, the Tesla 3 and Model Y on the horizon and the best selling Nissan Leaf poised to release its long range version can Honda be serious with this offering of only 80 miles? Surely this isn’t serious. Lets see if this makes sense. Charge a Tesla Model S entry price and give the driver only 80 miles of EV Range. That sounds like this program is designed to fail. The stated price of this EV is $59,365. This is just slightly below Tesla S pricing for the recently cancelled 60 version. This must be a compliance car for the California Market instead of the original Honda Fit. Will The Vokswagen eGolf Coming to 2017 NY Auto Show? I have not been able to determine the status of this car at the NY Auto Show but they should make an effort to attend. While I have not personally seen very many of these eGolfs, I’m sure they are out there. Based on the cheating scandal VW is still recovering from, I would do everything I could to compete in the EV space to repair my reputation. The eGolf has 125 miles of EV range from a 36kw battery pack. This is a competitive priced EV that competes head to head with a Nissan Leaf. Its priced around $29,000 to $33,000 estimated. At this point, consumers can either choose a German made or Japanese made EV in this price range. How About Audi in the EV Space? Well this segment will have to be opened up at a later date as Audi is still the only one that still has their two in the water and is only sticking batteries in with their gas engines so a Plug In Hybrid is all you are going to get out of them unless they surprise us at the NY Auto Show. I hope they change their collective minds and start to push into the EV Space rather than the clean diesel noise of yesteryear. When I met Bill Ford at the NY grand introduction of the Ford Focus EV in 2010 I had high hopes for Ford in the EV Space. They had been making hybrids for a while and should have been poised to jump right into the space. They did and came up with the Ford Focus EV and Ford Energi line of plug ins. The Ford Focus EV really has not been competitive and the Energi line has added battery packs added which look like after thoughts. The Lincoln brand still doesn’t even have a plug in car yet. I was at my local Lincoln dealer recently and test drove the MKZ and it was a very nice upscale sedan. It only has a Hybrid option and no Plug In version at all. The graphical display was almost identical to my Ford Cmax Energi. Will Ford open up in the space at the NY Auto Show and give us a Plug In Hybrid Lincoln or a better EV Range in the CMax or Fusion Energi? Time will tell. There is one company I look forward to seeing at the NY Auto Show. I’m looking to see the Kia Soul EV. I had a quick discussion with my local dealer and I’m surprised they sell any cars at all with this correspondence. It really sounds like a computer Bot answering my questions. I was going to drive over to see if I could test drive the Kia Soul EV and give it a quick review. Instead I had this correspondence. Why in the world don’t people just answer questions anymore. I’m an educated consumer so the old school “engineering agreement” is a waste of time and they should know better. Vanessa: Hello, thanks for contacting Newton KIA. My name is Vanessa, may I have your first and last name? You: do you have a Kia Soul EV available? Vanessa: Hi. May I have your first and last name please? Vanessa: Alright Douglas. How soon are you looking to make a decision? You: A Month or so. I'm looking to review the Soul EV do you have one? You: Your website only shows gassers. I'm an EV nut. Vanessa: Okay. Before we proceed, may I have your phone number or email to better assist you? Vanessa: We respect your privacy. We do not maintain/share any sort of lists, and we do not send junk/spam emails. We only contact customers who have asked to be contacted. Vanessa: Alright Douglas. Our inventory is constantly changing. I recommend you speak with one of our sales specialists who can confirm we have what you're looking for in stock. For your convenience, I can have the information emailed. Would that be alright? You: OK, you won't answer my question as I don't want to drive over to Newton unless you have the Soul EV in stock and you won't even answer my question so I think you are a Bot and not a person or are programmed to just collect data on people. Waste of my time. Vanessa: I'm sorry, I'm an internet representative for the company and only have access to general information. May I have someone who can answer all of your questions get back to you? You: If you can't tell me what you have in stock, whats the damn point of this chat. To just collect my name and address and waste a salespersons time. I'm only interested in one car you have and you can't even tell me if you have one in stock. Never mind, I'll find another dealer that will hopefully answer my damn question without going through 10 minutes of wasted chat session. Your comments above mix up two different models. The Honda Clarity battery EV with 80 miles range is not the one costing close to 60K dollars. The 60K one is the fuel cell Clarity. The battery electric Clarity is about half that cost. Intended to be a spacious 5 seater at a reasonable cost. Battery EV is for commute, city driving etc. and not for long hauls. Then you go with the fuel cell, gasoline or hybrid. 80 miles should cover most peoples need for inner city or commute travel. Most people are able to charge at work. Smaller batteries are lighter, cheaper and charge faster. I agree with Pierre. Check you facts. Thanks.